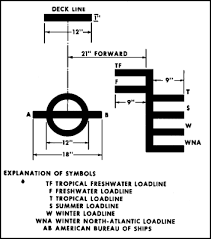 This entry was posted in blogging, economy, History, lifestyle, maritime, safety, work and tagged #overloaded ships, #Plimsoll line, #Samuel Plimsoll, #Sewol, #ships markings, #SS London, #Symbol: Plimsoll Line, #waterline, maritime history, the daily post by Capt Jill. Bookmark the permalink. glad you liked it. Sorry about the voice. Thanks for teaching me something new. As a writer, I’m sure this will crop up in some future narrative. Calm seas to you. Thanks, I’m glad you found it interesting.